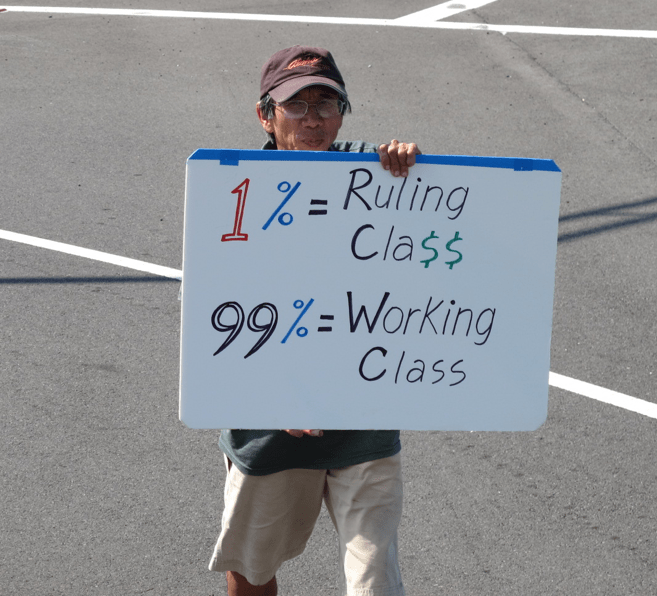 Hawaii Island’s Occupy Wall Street movement held a protest on December 31, 2011, against the “1 percent” of America’s wealthy, including affluent residents living in the Kuhio area. 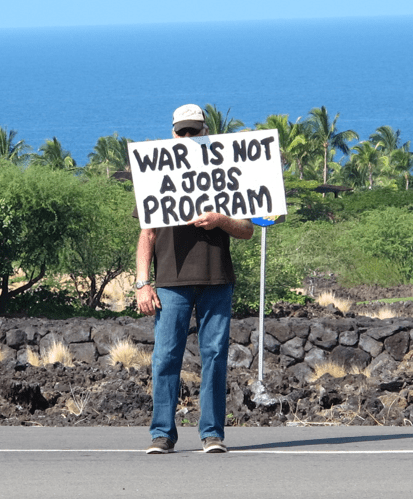 Albertini, who runs a “peace” institute, received $231, 788 in state tax dollars to expand his property Malu ‘Aina Center for Non-Violent Education and Action and the Hawaii Island Land Trust, located in the Puna district 10 miles south of Hilo. 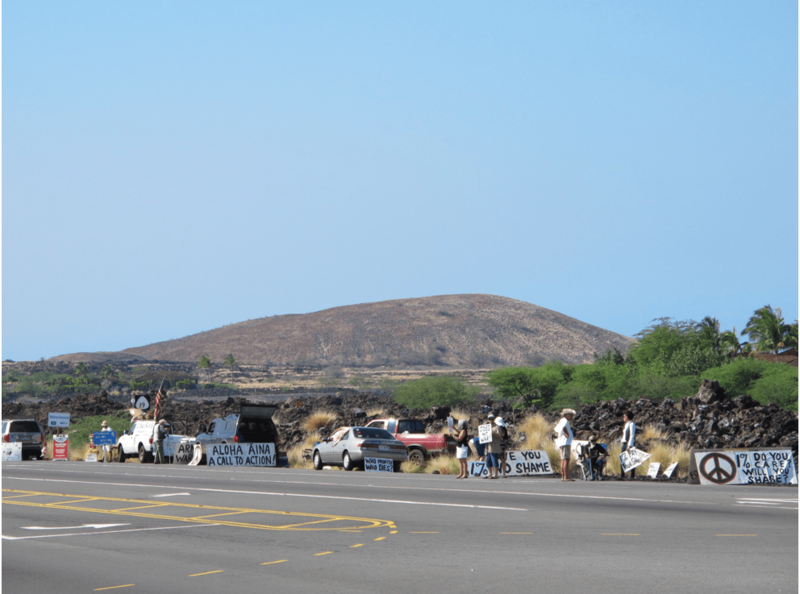 While these Hilo protestors are many miles away from the thousands of people camping out in New York City, they have one thing in common – they are displeased with what is happening in the United States of America. At the December 31 protest, participants complained about everything from “greed kills” to “war is not a jobs program” to the “1 percent” of America’s wealthy should not be so rich. 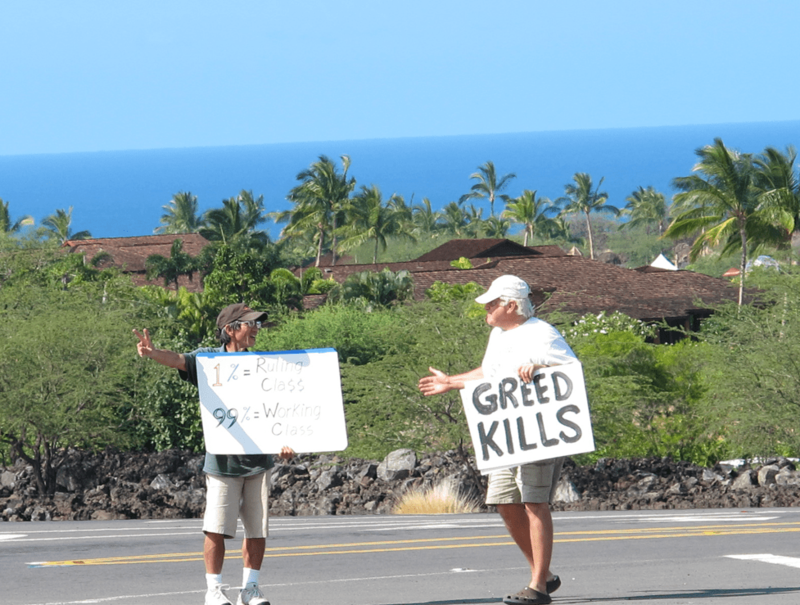 They stood within a mile of the exotic and luxurious Four Seasons Resort Hualalai at Historic Ka’upulehu in Kona where U.S. House Minority Leader Nancy Pelosi, one of the most powerful supporters of the Occupy Wall Street movement, has been staying this holiday season. But protesters apparently did not try to contact her directly, nor did she acknowledge them. 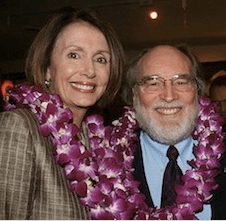 According to West Hawaii Today, Pelosi spent previous Christmas holidays in Kona at the same hotel in an elaborate presidential suite that rents for $10,000. Her spokesperson has not disclosed which suite Pelosi is staying in this year, saying such personal information is not released publicly. Pelosi, who reported a 62 percent jump in her wealth earlier this year from $20 million to $35.2 million, is one of the wealthiest lawmakers in the country. Besides the $223,500 a year she made as House Speaker, and the $193,400 she now makes as House Minority leader, she and her husband Paul have made a number of savvy investments in Apple, the United Football League, as well as in real estate and in a capital management company. Despite her wealth that easily launches Pelosi into the so called “1 percent”, she has been a vocal supporter of the Occupy Wall Street movement, which claims to represent the “99 percent” and protests against the “1 percent” or America’s most wealthy people. 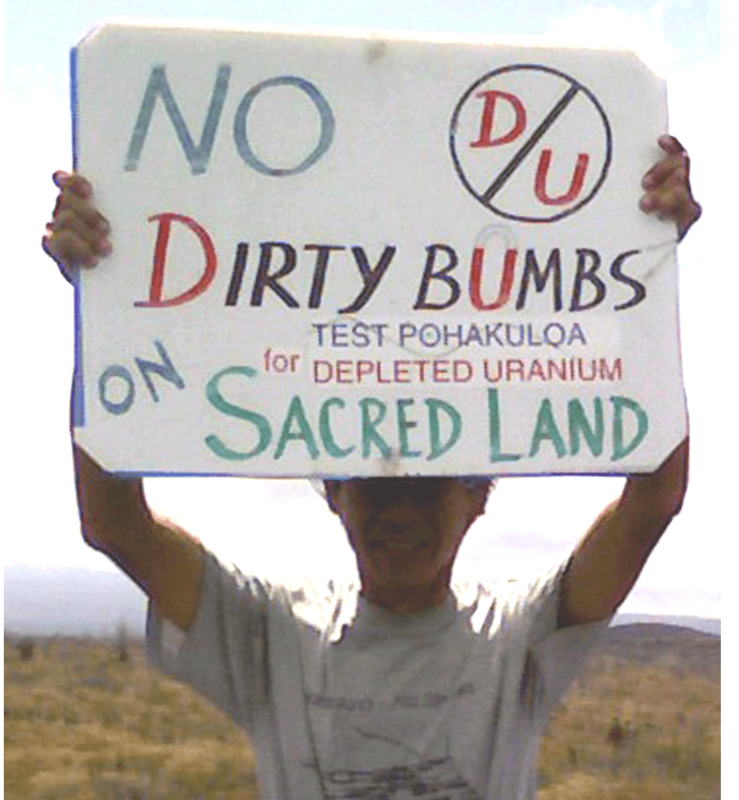 Meanwhile, President Barack Obama, another powerful ally of the Occupy Wall Street movement, is vacationing on the island of Oahu. His trip has proved much pricier to state and federal taxpayers. That includes $3,629,622 for separate travel for the president and his family, $151,200 for housing for security, $72,216 for staff to stay in one of Hawaii’s most luxurious resorts, the Moana Surfrider in Waikiki, and local police protection and ambulance detail for $260,000. The President’s family and their friends are paying for their own beachfront rentals, which can cost as much as $3,500 a night.